It has been quite a busy month, although the deafening crickets and the mammoth tumbleweeds rolling around the pink pepper blog haven’t suggested as much. Going from Ms. to Mrs. Pepper, the last minute preparations left me with little time to cook, photograph or feed my Masterchef Australia addiction. I only just recently caught up on episodes whilst recovering from the most inconvenient cold of my life – yes, I was sick on my wedding day! Nonetheless, it was a beautiful day, and being with such wonderful and caring people almost made me forget about my runny nose. During the chaos, it seems as though some of my garden greens started to flower – an almost desperate cry from my poor plants for attention. 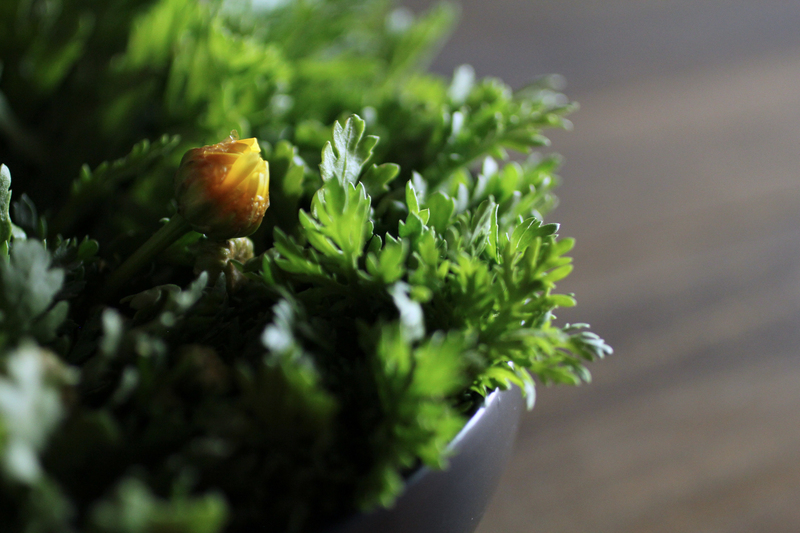 I wasn’t able to salvage my Chinese broccoli, but I was able to harvest some pretty lovely chrysanthemum greens – it looks like the warm weather in Arizona agrees with them and they are a pretty low maintenance vegetable to grow. 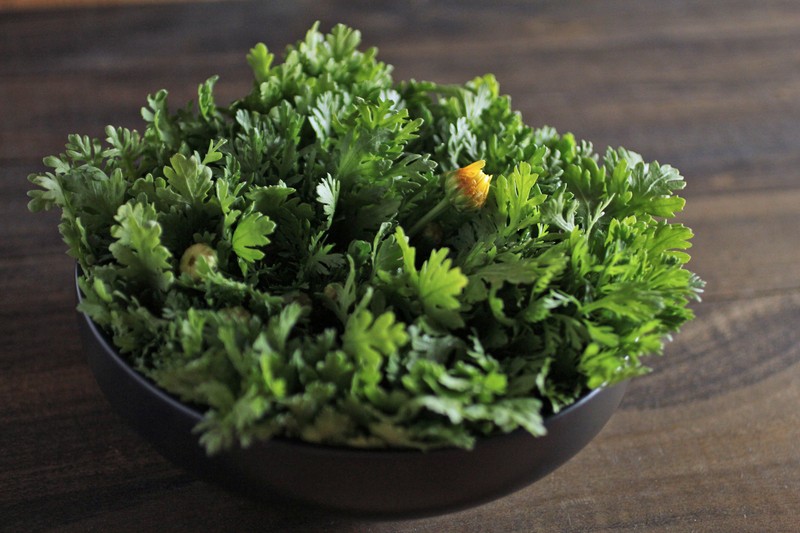 These greens are often used in Japanese dishes such as shabu-shabu or sukiyaki as well as Chinese stews and soups. I look forward to enjoying the first harvest of fresh vegetables in the Pepper household in a lovely hot pot soon!